At the beginning of the 1960s two schoolmates, Anton Feistl and Helmut Brauner, paid for their studies by organizing promotional events and in 1963 went on to found a company for distributing advertising material. The name feibra came from the first letters of both founders‘ last names. 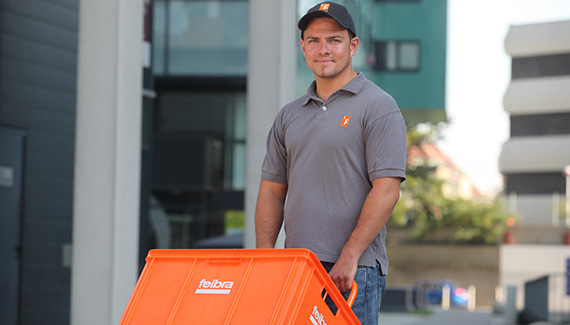 The company grew and soon became one of the leading deliverers of unaddressed advertisements such as flyers, brochures and product samples–delivered straight to the door in a feibra plastic bag. This sackerl soon became a part of everyday Austrian language use. In 2002 the Austrian Post Office (Österreichische Post AG) acquired an interest in feibra; 2005 saw the complete takeover of the company. 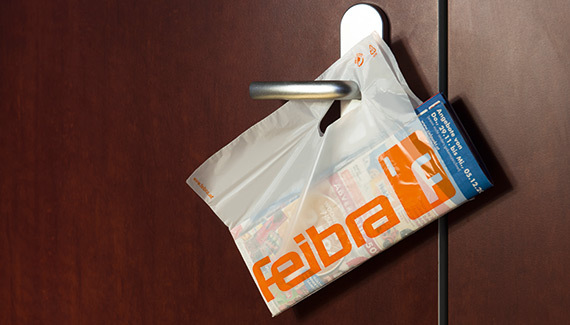 In 2008 feibra expanded its range of services to include the delivery of addressed mailings (letters, direct mail and newspapers). 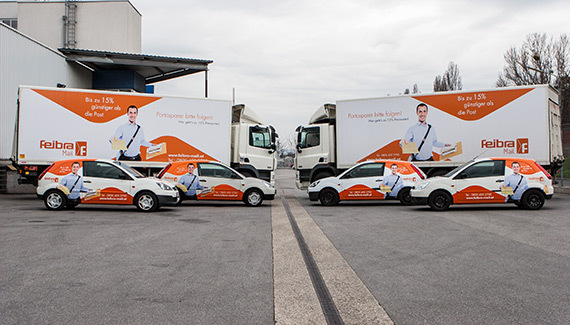 With the total liberalization of the Austrian postal market in 2011 the license to operate as a postal services operator was granted by the Austrian regulatory body RTR. In the meantime, feibra has more than 26 locations, 250 employees and approx. 1,200 freelance delivery agents. 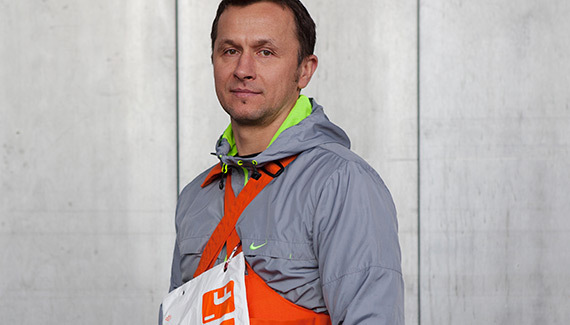 The company had a turnover of 58.5 million Euros in the year 2014. Since its establishment in the year 1963, feibra has been constantly advancing; what has remained consistent is the focus of attention of the quality our services and complete dedication to the needs of our customers. Bearing the Austrian national coat of arms is a great distinction for us and a mandate for us to continue on the path we have decided to take.